Dalia is a pink creme. All nails are 3 coats with top coat. Enchanted Waters has a clear base with a variety of teal holographic glitters. Shown is 3 coats with top coat. Extra Sprinkles is described as a fun mix of pastel glitters and holo triangles in a blue shimmery base. For these photos I dabbed one coat over 3 coats of Dalia. Garden Delights contains a mixture of various purple, pink, and blue matte and holographic glitters in clear base. All nails are 1 coat dabbed over 3 coats of Hydrangea. Hydrangea is a periwinkle creme. I used 3 coats with top coat. 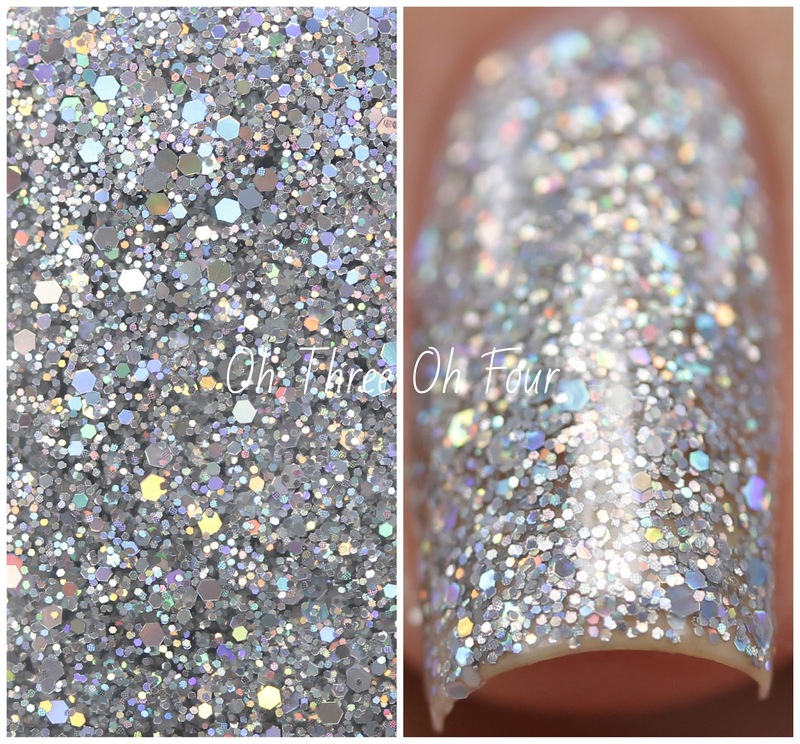 Pixie Dust has a clear base with various silver holographic glitters. Shown is 3 coats with top coat. Sundae Sunday is described as a mix of pastel hexes and holographic triangle glitters in a white crelly base. All nails are 3 coats with top coat. Vase Value has a clear base with various gold, green, purple, silver and raspberry holographic glitters. I dabbed 1 coat over 3 coats of Zinnia for these photos. Zinnia is a peach pastel creme. All nails are 3 coats with top coat. All polishes from this collection are available now through Rain City Lacquer's online store. Be sure to follow Rain City Lacquer on Facebook, Twitter and Instagram!